Commission's chairperson says nobody has come forward to lodge cases of harassment despite assurances of legal help. NEW DELHI: Five days after it invited women to lodge written complaints against their experiences of sexual harassment at workplace, assuring them of all possible help, the National Commission for Women (NCW) is yet to get a single complaint. 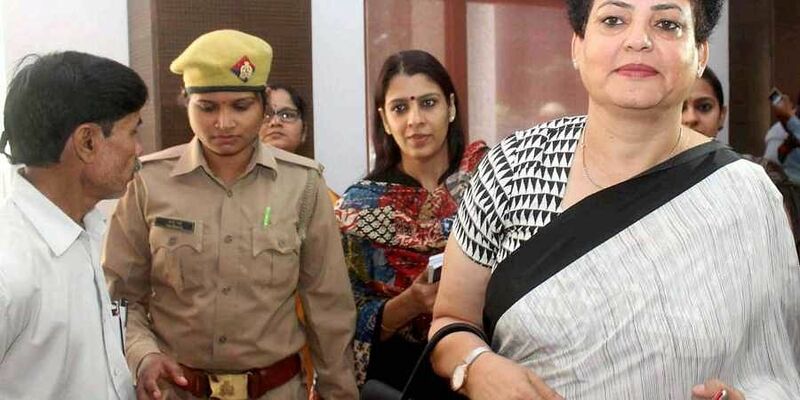 “We have widely publicised that we are there to provide all legal help to every woman who wants to take her case to a logical conclusion, but so far nobody has reached out to us,” NCW chairperson Rekha Sharma told TNIE. “Unless somebody approaches us, we do not even know if an affected woman wants to take legal recourse. So we cannot even initiate a suo motu inquiry because that would require statement from the complainants,” she said.Over the last two weeks, a large number of women — especially from the film and television industry and media organisations — have shared on social media platforms their experiences of facing sexual harassment at work under the MeToo hashtag. The #MeToo campaign first started in Hollywood last year, aimed at naming and shaming sexual ‘predators’, and has picked up in India in the last 10-15 days following actress Tanushree Dutta’s allegations of harassment against veteran actor Nana Patekar. The NCW chairperson claimed she had personally tried to persuade actress Dutta and some others who have shared particularly serious instances of being sexually assaulted at work, but in vain.“The actress did not want to give us the complaint in writing. So we cannot take it forward. Besides, her case is already in court now,” Sharma said. “In some other cases, too, we did not find the complainants interested in giving us a formal complaint.”She, however, insisted that the commission, irrespective of the fact one of the people facing allegations of sexual miconduct and harassment was Minister of State for External Affairs M J Akbar, would carry its own inquiry and report it to police in case of being approached by an individual complainant. “The NCW has noticed that in many such cases, victims do not want to go beyond naming and shaming the alleged offenders and lodge formal complaints. In such cases, the commission urges them to lodge written complaints with authorities concerned, including with the NCW,” the commission had said in a statement on Wednesday. Under criticism for remaining silent on the movement, the women’s commission had stated that “the prevalent culture of silence has long prevented women from speaking out and reporting such cases”. Lucknow:Bahujan Samaj Party chief Mayawati came out in support of the #MeToo movement and demanded action against MoS M J Akbar, saying that instead of coming clean on the charges of sexual misconduct, he was trying to politicise the issue. “BJP leaders are acting as mute spectators on this serious issue, but people will not forgive them for this,” she said. Accusing the central government of insensitivity, Mayawati said the episode had exposed BJP’s anti-women “chaal (activity), charitra (character) and chehra (face)”.